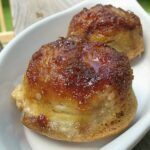 These Banana Upside Down Muffins turned out positively delicious. 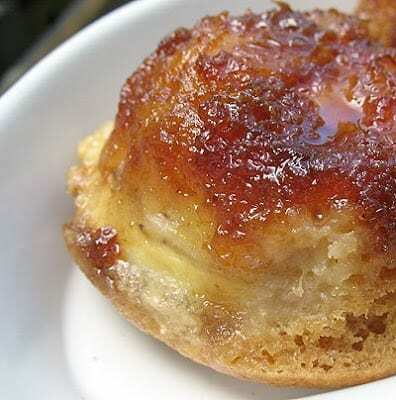 I love upside down desserts, the way the sugar caramelizes and just melts in your mouth. Adding the fabulous flavor of bananas to the mix was just icing on the… muffin! Quite a while ago I received a cookbook called Sweet! 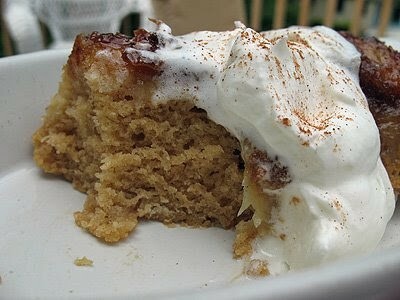 : From Agave to Turbinado, Home Baking with Every Kind of Natural Sugar and Sweetener by Mani Niall. I had thumbed through it several times and bookmarked quite a few recipes, but never found the time to make anything. On a side note, there was an error in this recipe in the book. I contacted Chef Mani Niall through his website and he was super nice and very helpful with straightening things out. The recipe below is correct. 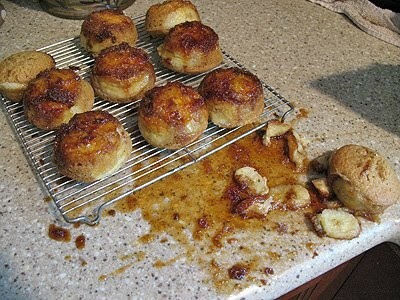 As you’ll see from the picture below, I did have a couple of casualties when inverting the pan. I love pineapple upside down cake and I love bananas. So when I saw the name of this recipe I knew it would be something I would enjoy. Even the kids liked the flavor of these muffins! So if you are like me and you get tired of making banana bread, try this delicious recipe on for size. These are perfect breakfast or brunch muffins! If you prefer it as a dessert, pair it with some freshly whipped cream sweetened with powdered sugar and a little banana extract, sprinkled with cinnamon. 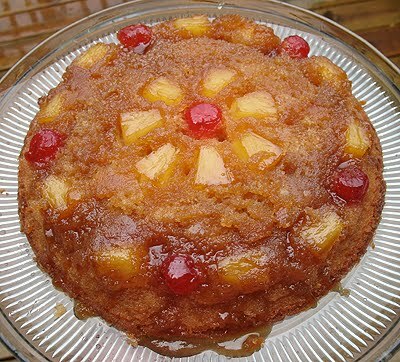 You just cannot go wrong with classic pineapple upside down cake made in a cast iron skillet. 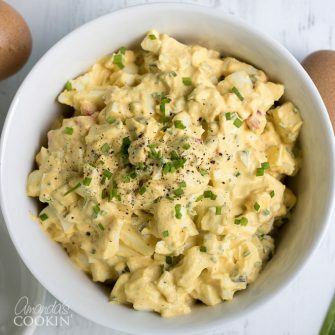 This recipe tends to be very nostalgic for people because this is how their grandma or great grandma always made it. Nostalgic recipes are dear to our hearts because it helps people remember those that are no longer with us. 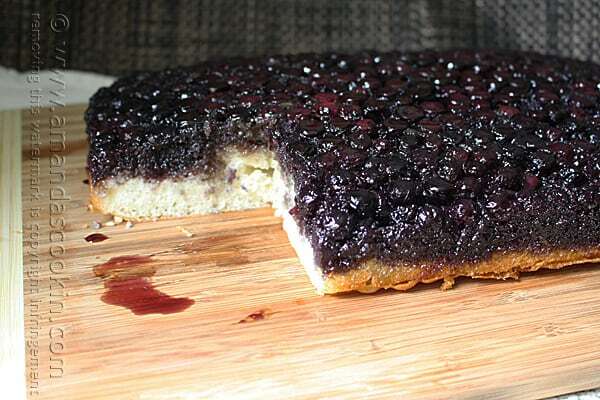 A different approach is this blueberry upside down cake. Don’t be fooled, there are lots and LOTS of blueberries. You could probably cut down the number of berries if you wanted to. But would you really want to?? 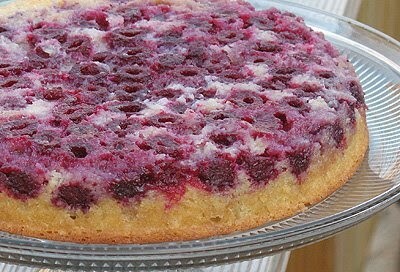 This recipe for raspberry upside down cake actually uses Bisquick! You remember Bisquick don’t you? It’s still around and still in people’s pantries. If you don’t use it though, read through the recipe and compare it to the blueberry upside down cake and I’m sure you could substitute with cake mix. Position a rack in the center of the oven and preheat to 375 F. Lightly spray a 12 cup muffin pan with cooking spray. 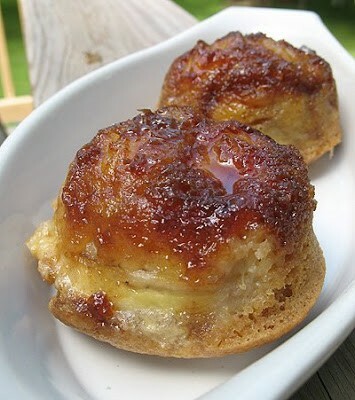 To prepare the pans, place 2 teaspoons of the butter and 2 teaspoons of the brown sugar in each muffin cup. Bake until the mixture in each cup is melted and bubbly, about 10 minutes. Remove the pan from the oven and cool for a few minutes. Peel the bananas and cut them on a diagonal into 48 thin slices. In each muffin cup, place two banana slices on the bottom and two banana slices along the sides. To make the muffins, sift together the flour, baking powder, nutmeg, and salt in a medium sized bowl. In a separate bowl, whisk together the brown sugar, oil, eggs, milk, rum, and vanilla. Make a well in the center of the dry ingredients, add the egg mixture, and stir just until blended. Do not overbeat. Divide evenly among the prepared muffin cups, filling them as full as possible (be sure to divide them evenly, they will be about 3/4 way full). Bake until the center of a muffin springs back when pressed gently with your finger, about 18 minutes. Immediately invert and unmold the muffins onto a wire rack. Cool briefly and serve. The muffins are best the day they are made. Mani suggests using dark muscovado sugar for the richest carmelized layer. 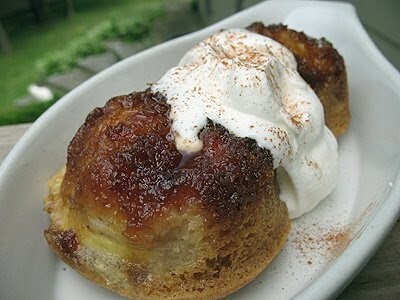 I used regular dark brown sugar and they were fabulous. I can only imagine how good they would have been with muscovado! Can’t wait to try these, I love bananas. One problem, 2 tsp. of butter in each muffin cup would be 24 tsp. That’s 8 tablespoons of butter not 4.